If You Are Planning a Reunion in Metro Detroit – Let Us Help! If you wish to contact our Family Reunion Department, please call 313-202-1985, fax 313-202-1911 or email reunions@visitdetroit.com. Want more information on family reunions in Detroit? We’ve got you covered. Registration is limited to the first 1300 sign ups. There will be no on-site registration. All registered attendees will receive further seminar details three (3) weeks prior to the date of the event. Clicking “Yes” to this option will automatically add you to the registered attendee list. If you do not know your guest's email address at this time check this box. Are you interested in Registering your Family Reunion? 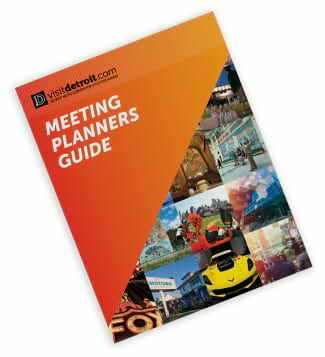 Reunion groups must complete the Family Reunion Information section to qualify to receive FREE items, such as Detroit bags, Visit Detroit magazine (the DMCVB’s official metro Detroit visitors guide) and memorabilia for ALL of your attendees. Which hotel did you chose? Please upload you signed hotel contract if you have a copy. If not, please fax a copy to 313-202-1911 or email to reunions@visitdetroit.com once it is available. Are you interested in hotel accommodations? Particular Area you would like your hotel? Does your hotel need to have any requirements? What is your desired range per person? Have you already selected your banquet facility? What facility did you choose? Would you like to receive information on banquet spaces? What YEAR, CITY, and HOTEL was your last reunion held? The DMCVB will provide your reunion with items for all attendees once you have submitted a copy of your signed contract.